The Galaxy S5 may have been in the market for quite some time and we are expecting as many as three spinoffs of the Korean flagship. The camera-centric Galaxy K is well received in many markets and the premium-ish ”Prime” version is just around the corner. Now, the Galaxy-maker announced the availability of the miniature version of the Galaxy S5 that packs all the nifty sensors in a smaller package. 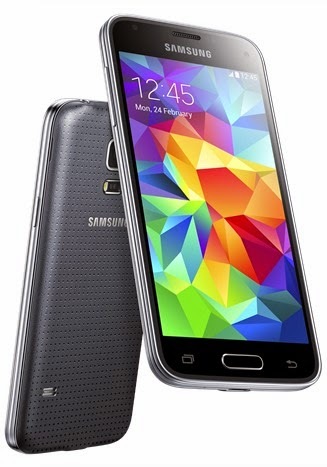 The Galaxy S5 mini comes with a smaller 4.5-inch screen with Super AMOLED display. Although the display is only rated with 720p HD resolution, you can still see the vividness and the clarity of the images. In fact, there’s a bump to Retina-grade display quality of 326 ppi compare to last S4 mini’s 256 ppi. However, if we are to weigh both handsets, the S5 mini is a tad heavier (120g versus 107g) with the new hardware measureing 131.1 x 64.8 x 9.1 mm. In terms of internals, the smaller S5 version boasts a speedy quad-core processor that is clocked at 1.4 gigahertz. The RAM remains the same, and reasonable, at 1.5 GB and is coupled with a 16-gigabyte of built-in memory. Those who need larger space can use the microSD slot for expansion – that’s up to a beefy 64 gigabyte. Surprisingly, the S5 mini is also IP67 certified; this means that it is also waterproof and dustproof like the full-fledged S5. 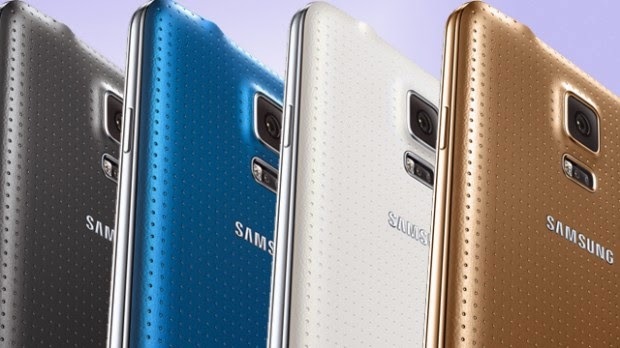 You may also notice that there will be no flap at the bottom of the device to cover the micro USD port but Samsung says that it has installed a water-proof coating on the said area. The 8-megapixel camera is housed at the perforated back panel with the heart rate sensor just below it. Likewise, the 2.1 MP “selfie” shooter beams when you flip it over. And speaking of sensors and features, you’ll also get the complete set from the Galaxy S5 - Ultra Power Saving Mode, S Health, Private mode and Kids mode to name a few. Of course, the fingerprint sensor will still be at the home button. 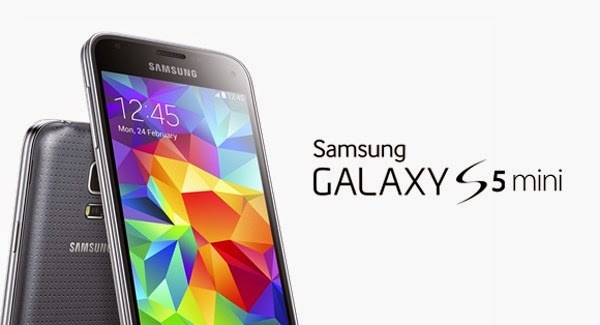 The Galaxy S5 mini will be powered by Android 4.4 KitKat. The battery is bumped at 2100 mAh rating to give users a longer mileage. There’s no word about its availability and pricing but when it arrives, you can choose between White, Blue, Gold and Black hues.